Marc Symons, PhD, professor in The Feinstein Institute for Medical Research's Karches Center for Oncology Research, is examining if a common medication administered to treat pinworms, could replace the current treatment used for certain brain cancers. These findings, which are published today in the Feinstein Institute Press's peer-reviewed, open-access journal Molecular Medicine, could help to extend the lives of patients suffering from one of the most common types of brain tumors—low-grade glioma. Low-grade glioma is a tumor that originates from cells that support and protect the brain's nervous system. Treatments for these tumors include surgery, radiotherapy and chemotherapy. 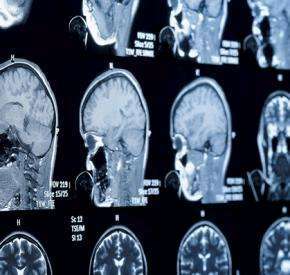 Brain tumor chemotherapy is challenging as most drugs cannot penetrate the blood-brain barrier, a natural defense mechanism that prevents substances in the bloodstream from getting into the brain. For example, vincristine is a drug that is routinely used as part of different drug cocktails for the treatment of brain tumors, even though it is rather toxic and very poorly crosses the blood-brain barrier. Dr. Symons and colleagues examined mebendazole, a medication that is used to treat parasitic pinworms and that in previous studies had been found to be effective in the treatment of glioma tumors. By studying how mebendazole kills isolated tumor cells in the laboratory, they showed that it works in exactly the same way as vincristine. They also found however, that while mebendazole effectively slowed down the growth of glioma tumors, vincristine did not work at all. "We were rather surprised to see that vincristine, which is currently used to treat a range of different brain tumors, was totally ineffective in our in vivo glioma model," said Dr. Symons. "In contrast, in the same model, mebendazole performed quite well, most likely because mebendazole crosses the blood-brain barrier and reaches the tumor much better than vincristine. The reason that vincristine may be erroneously believed to be effective for the treatment of brain tumors is that it always has been used in combination with other treatments." Based on the new results— and due to the fact that vincristine often has severe side effects in comparison to relatively mild reactions to mebendzole—Dr. Symons and his team are now strongly motivated to initiate clinical trials to test whether vincristine can be exchanged by mebendazole in the treatment of brain tumors. "Sometimes innovation can be looking at an existing treatment in a new light," said Kevin J. Tracey, MD, president and CEO of the Feinstein Institute. "This new approach needs to be tested in clinical trials, but with Dr. Symons' new findings we may be closer to a new treatment option that could prolong the lives of the patients suffering from low-grade glioma and other brain tumors."